It’s summer, and it’s hot out — when the weather gets like this you don’t want to be weighed down with clothes that don’t breathe. You want to feel cool. Merino wool does a pretty good jobh, but there’s a limit to how hot you can go. When you find that limit, you’ll want to look at linen. Outlier’s Breezy Linen Short Sleeve is designed for just such occasions. 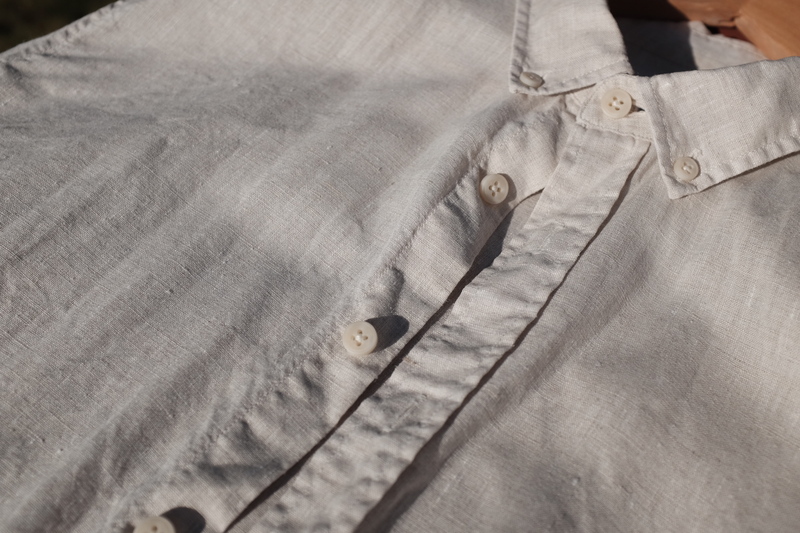 It is a classic short sleeve button down made to handle very hot, and dry climates. I’ve had mine for a year now, and it’s my go-to for hot days. This is 100% Italian linen, coming in at 113 gsm. There are two things additional to note about this particular shirt and how it was constructed. The first is the Pivot sleeve design, which is something unique to Outlier shirts, and allows for a fantastic range of motion. The second is the open weave design of this linen — allowing for it to wear very light, which is where the name comes from. 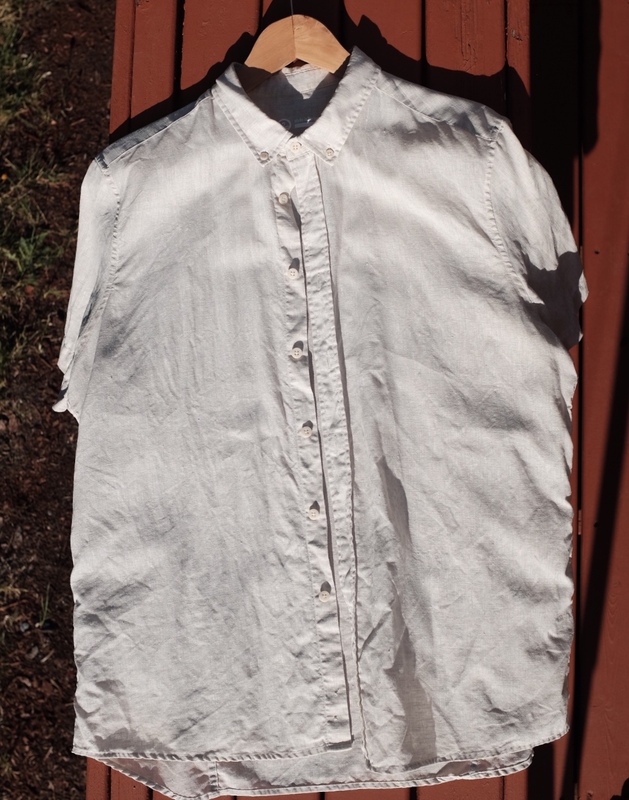 Comparing this to other linen shirts I own, my older linen button downs are not even in the same league. By comparison they are heavy and bulky, whereas the Breezy Linen shirt almost feels invisible. The body of the shirt is short, the sleeves as well. It’s made to keep you cool, and thus has a very flow-y nature to the cut. It’s too short for me to tuck in, nor would you want to. The collar itself is shorter and more low profile than on other Outlier shirts, making the shirt blend nicely in all casual situations. I’ve very happy with the fit, and it fits exactly as I expected from reading the size guide. Here’s what Outlier claims about the shirt: “Linen absorbs moisture while staying dry to the touch and has an open weave to let air flow through. And it breaks down beautifully, softening with wear like no other fabric.” I think that’s a spot on description, but there’s also more to it. The linen itself feels slightly rough to the touch, even after a year, but it never feels uncomfortable. It feels stiff, while also being full of wrinkles. Linen itself is a style, and if you are looking for a shirt with no wrinkles, move along. Linen wrinkles each time you look at it, but the wrinkles also fall out easily. So it’s always wrinkled, but almost never wrinkled more than is acceptable. Wearing it though is very unique. It’s by far cooler to wear than not wearing a shirt at all. The air almost passes right through it. It draws the moisture right off your body, and the linen itself dries very fast — this certainly has a cooling effect when you wear it. There are times when I’ve been far too cold indoors to wear this shirt. And because the sweat dries so fast, the shirt rarely stinks. This isn’t merino with anti-odor properties, but I can often wear this shirt for 3-5 days without it smelling at all (with hanging it to air out at night). It’s impressive, and truly makes this shirt better than it otherwise would be. Outlier notes that this shirt is best for drier heat, whereas their Ramie shirts are better for humid, but I’ve worn this in both desert heat and in humid climates. I’ve found it to be excellent in both. On a performance metric, this shirt is awesome. For $125 (last time they were available) this shirt is hard to beat. It’s a fantastic summer shirt and my go to anytime the mercury goes about 80°F. I am pleasantly surprised by how well it resists odors and how fast it dries. While I won’t be buying another, that’s only because I’ll be getting the long sleeve version of this shirt next. 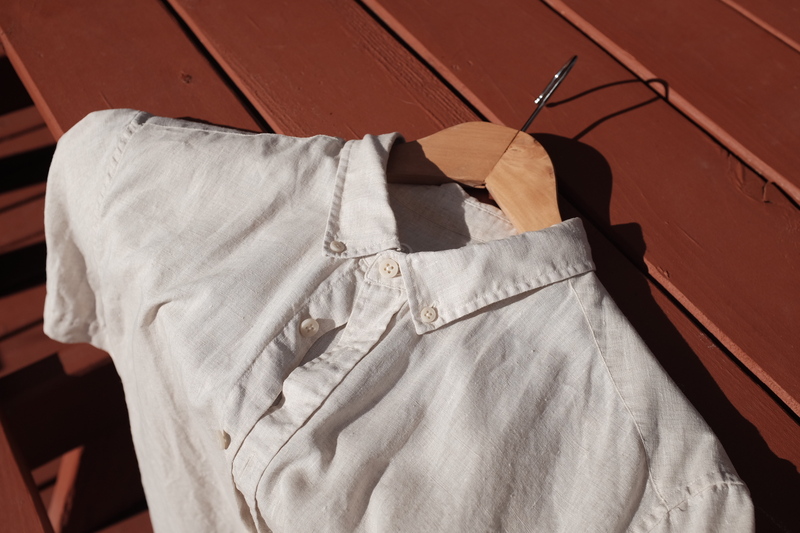 I highly recommend The Breezy Linen Short Sleeve as a summer shirt, with the only downside being that sometimes you can’t stay warm enough when you wear it.